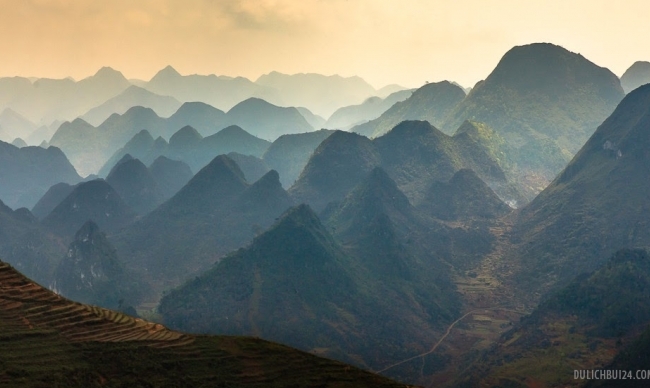 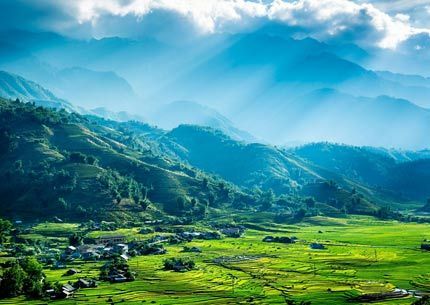 Containing the northernmost point of Viet Nam, Ha Giang is the country's final frontier as its share a 270 kilometer long boundary with China's Yunnan. 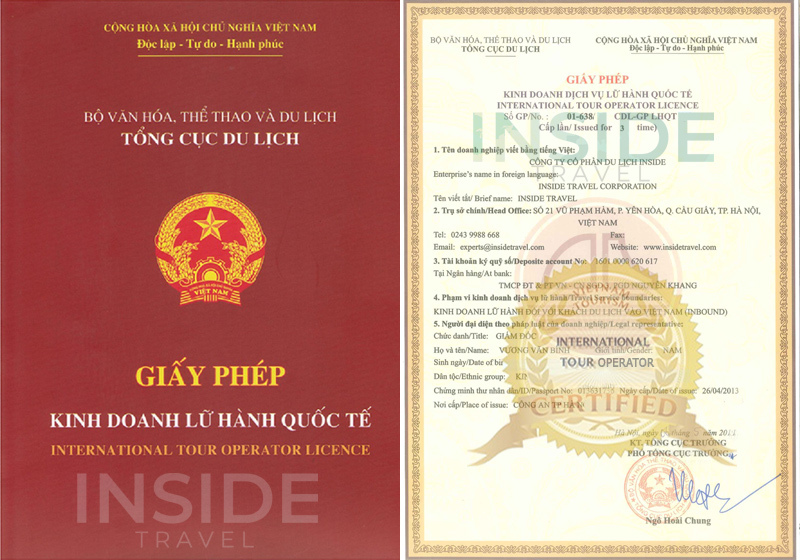 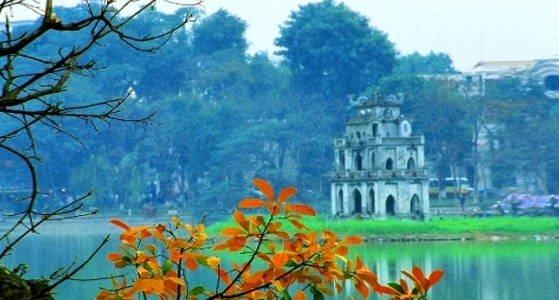 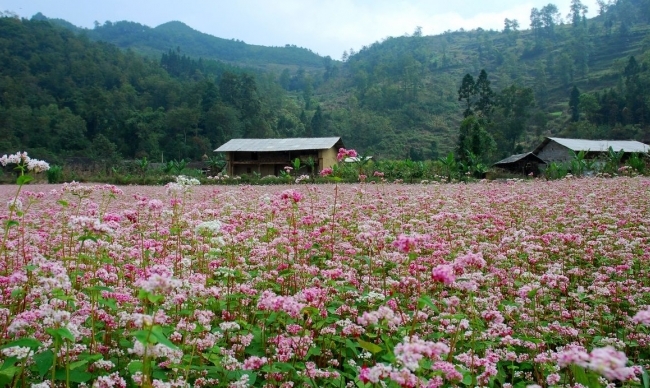 Its provincial capital is also called Ha Giang. 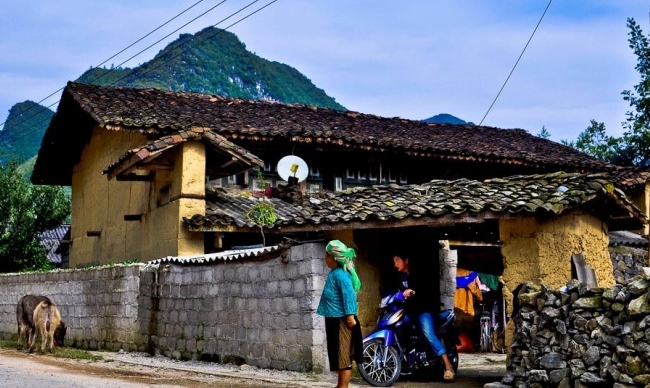 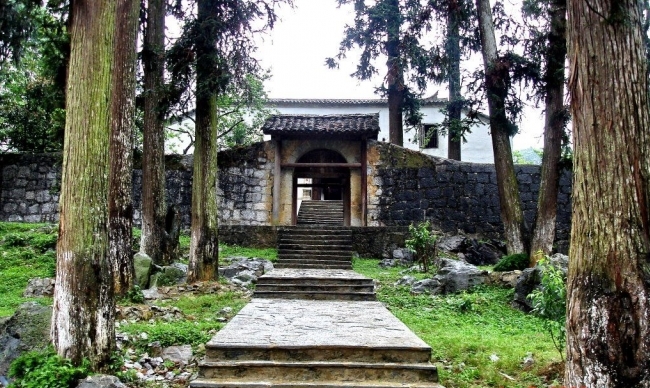 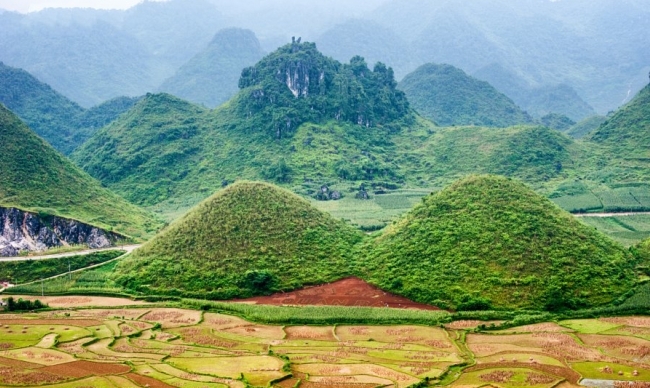 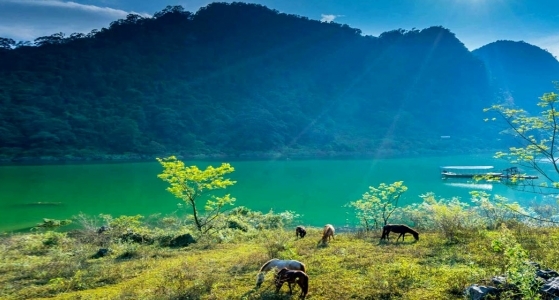 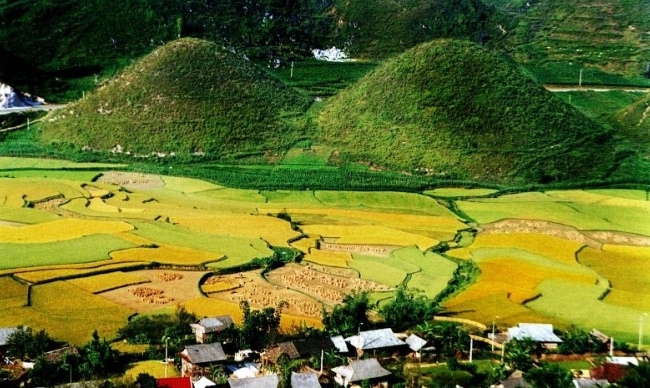 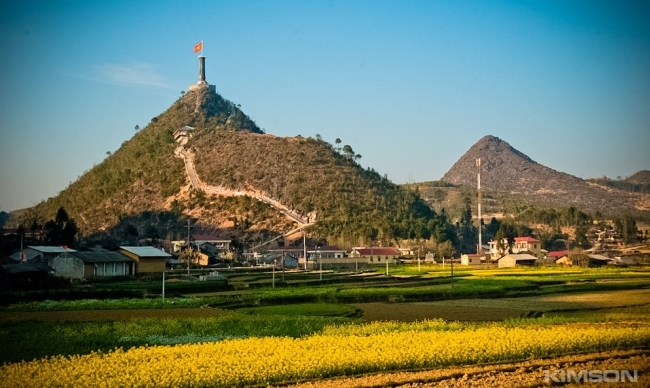 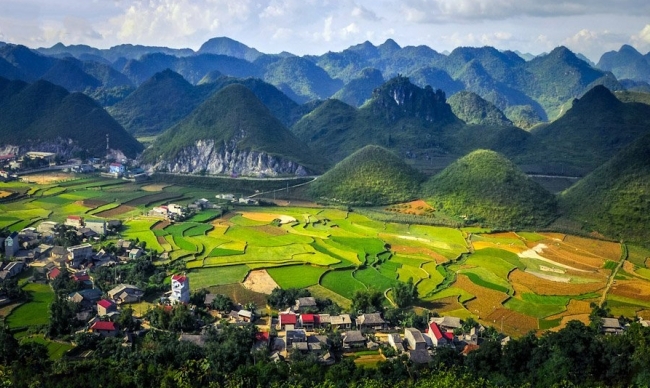 Surrounded by Lao Cai, Cao Bang, Tuyen Quang, Yen Bai, main features of Ha Giang's topography are rocky and high mountains, limestone formations, granite peaks, outcrops as well as springs. 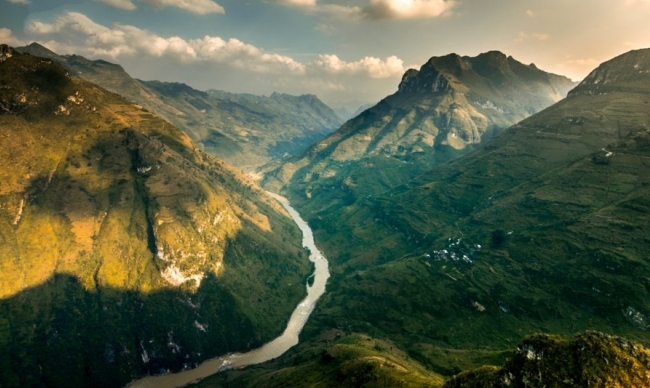 This complicated terrain is divided into three areas: rocky mountain and separated rivers in the south; sloping mountainside, valleys, high pass and narrow springs in the west; and hills, valley of Lo River, Ha Giang Town in the low land area. 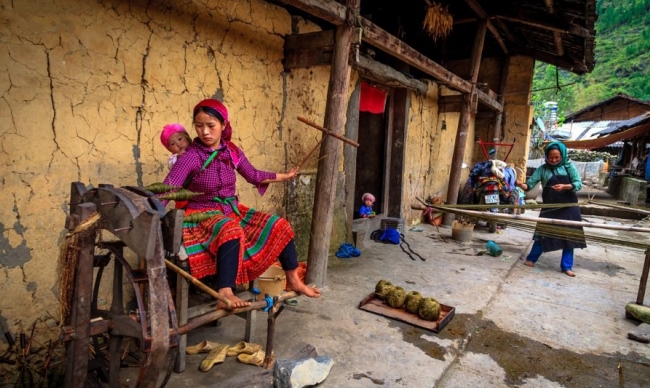 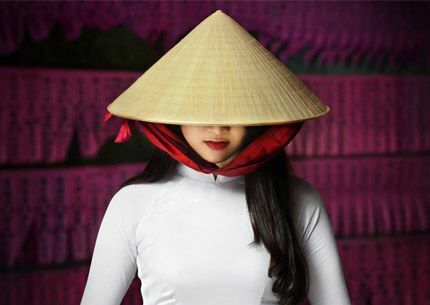 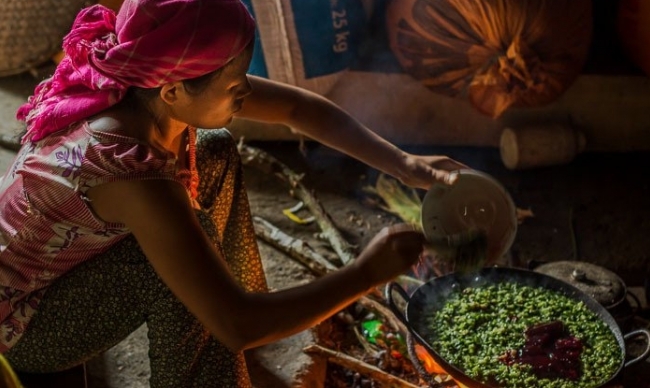 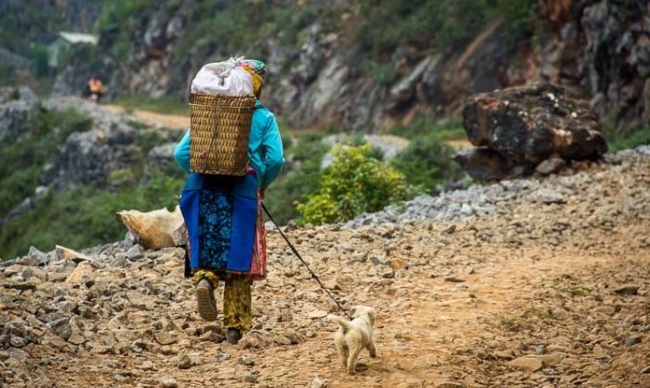 The local people of Ha Giang, which are of over 20 minority groups, are well known for their artistic abilities, notably weaving with beautiful hand-made textile products. 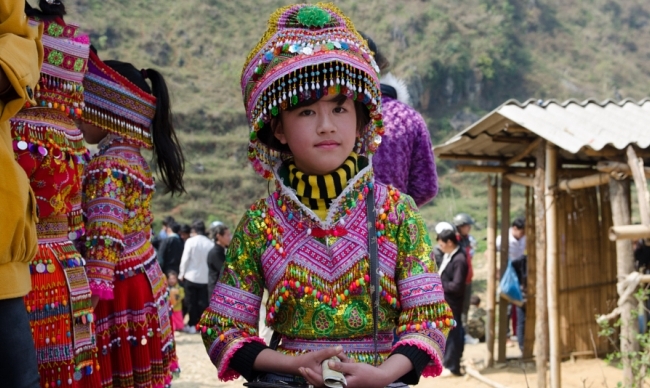 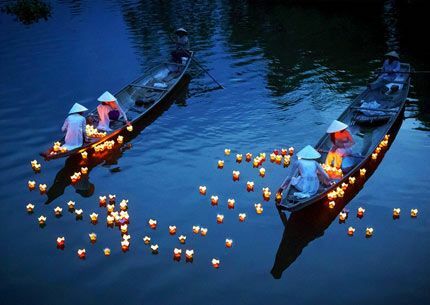 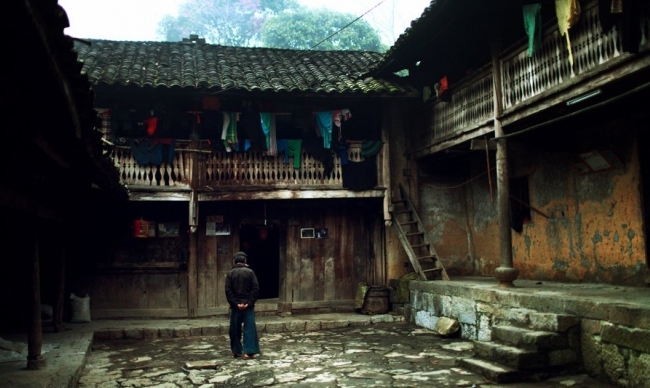 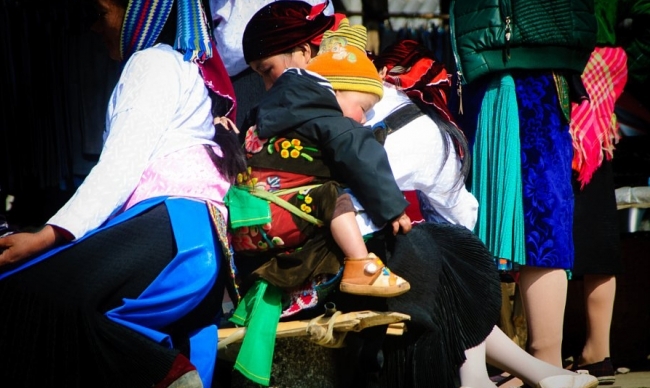 Thanks to a presence of such number of groups, Ha Giang owns a rich diversity of cultural festivals. 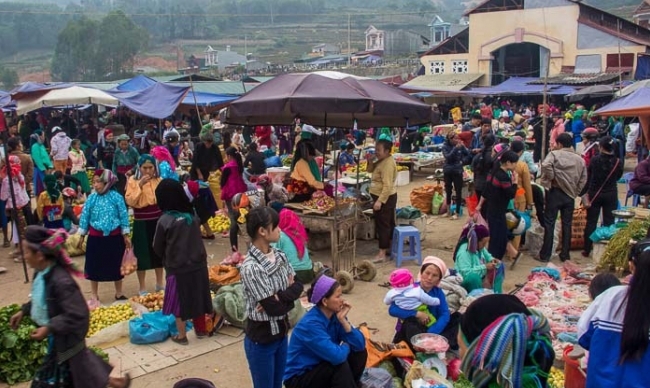 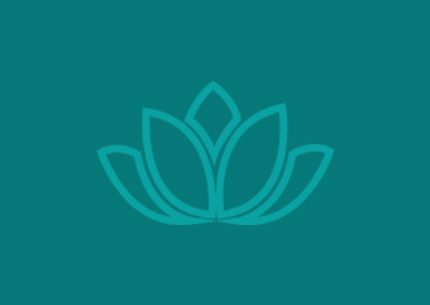 Shortly after Tet Holiday is the Spring Festival, which is hosted by the Hmong and Yao people and usually lasts between three and seven days. 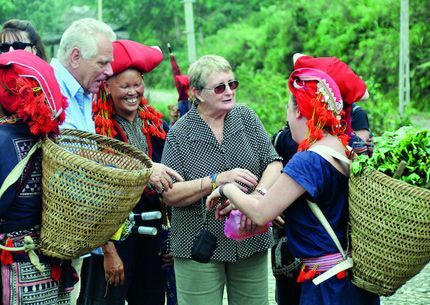 Main activities of the festival are singing, feasting, and drinking alcohol. 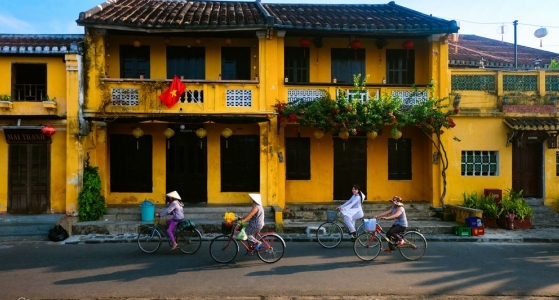 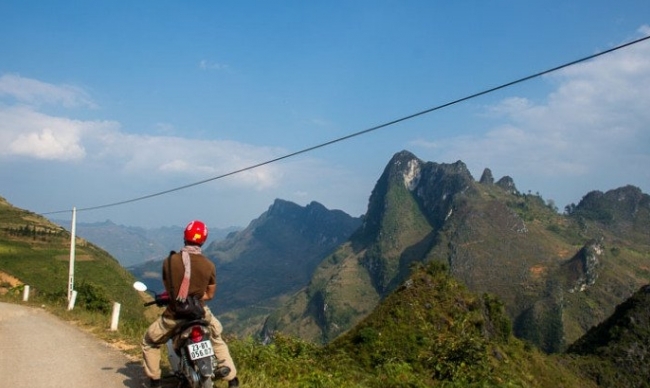 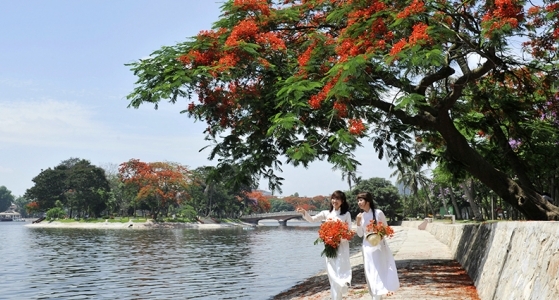 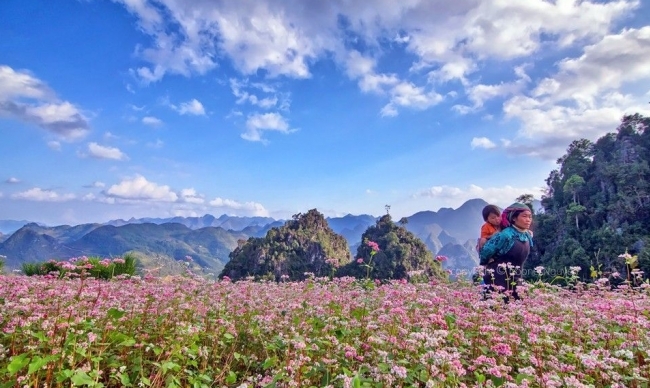 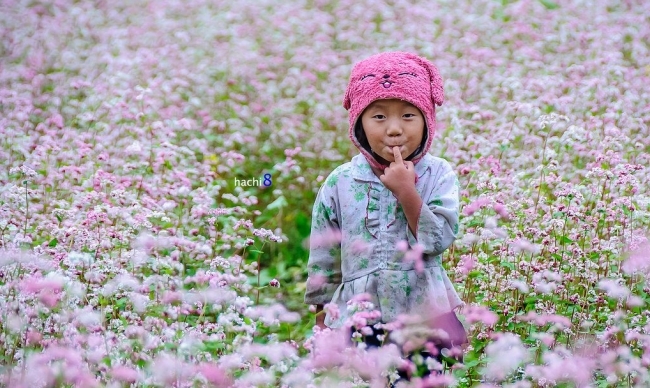 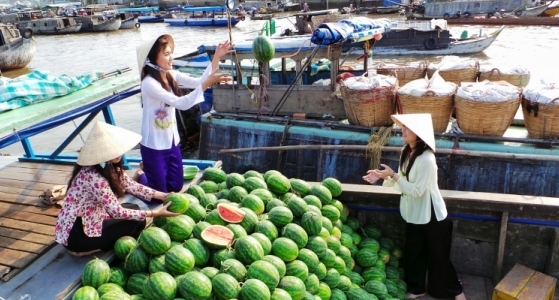 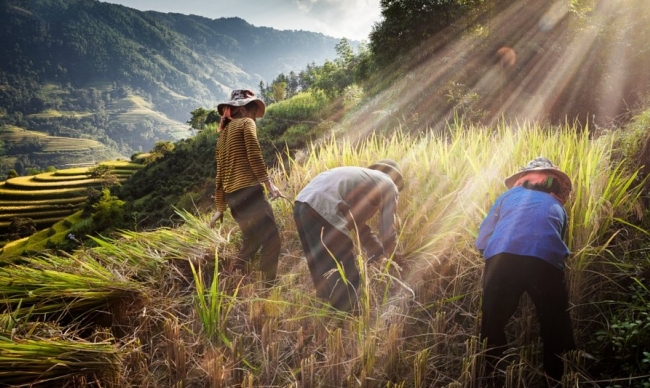 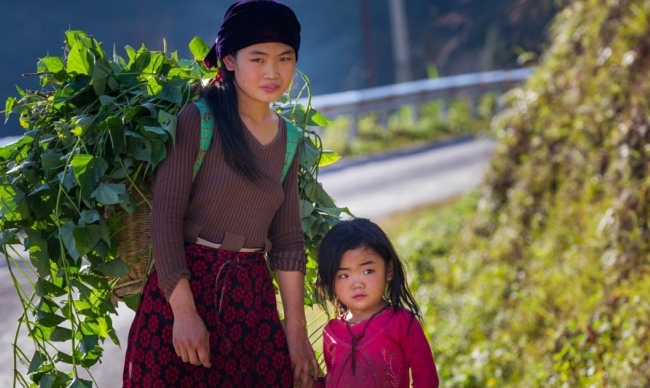 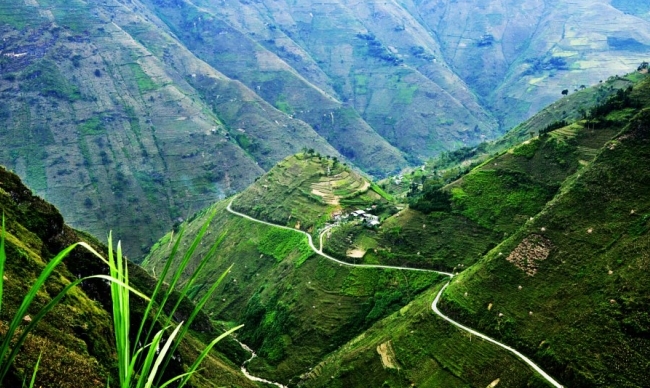 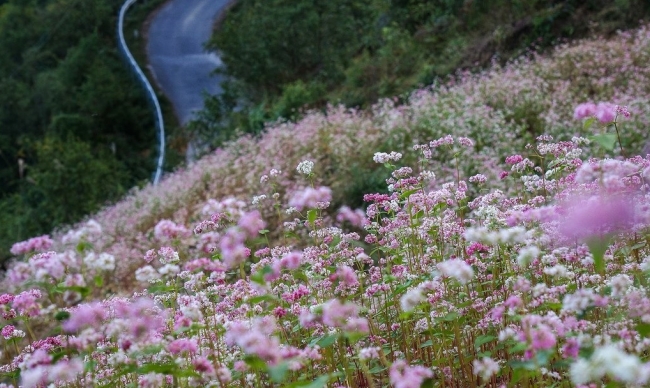 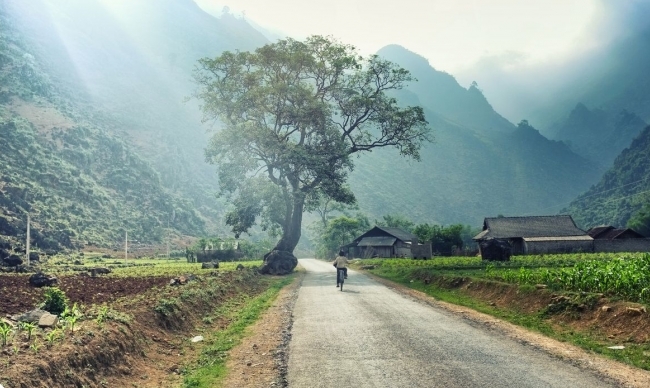 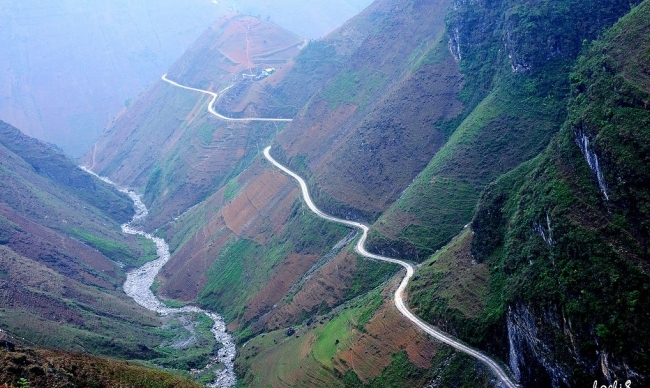 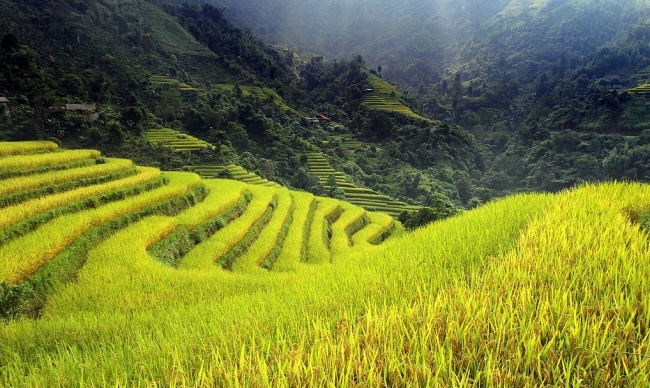 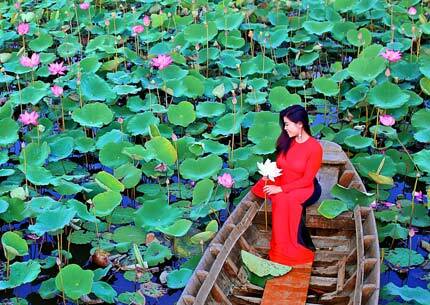 You can visit Ha Giang every season in a year, as each one shows different aspect of the province's beauty. 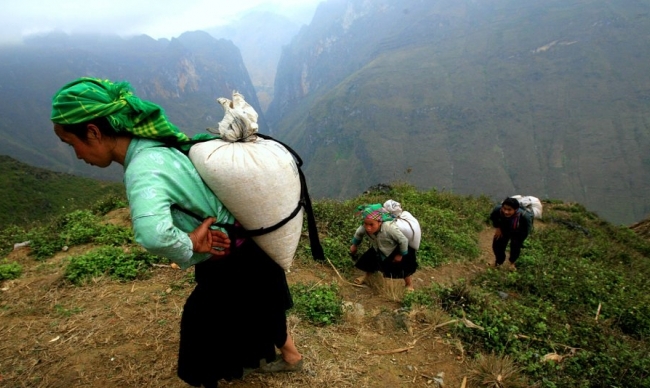 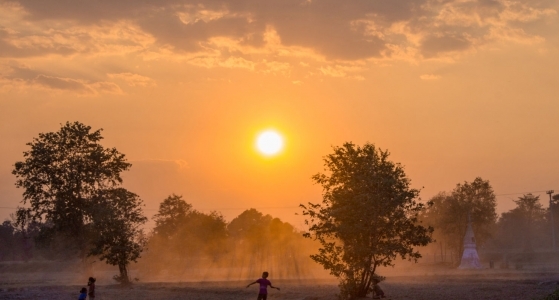 However, you should be well prepared for the rain season in July and August with plastic poncho or umbrella. 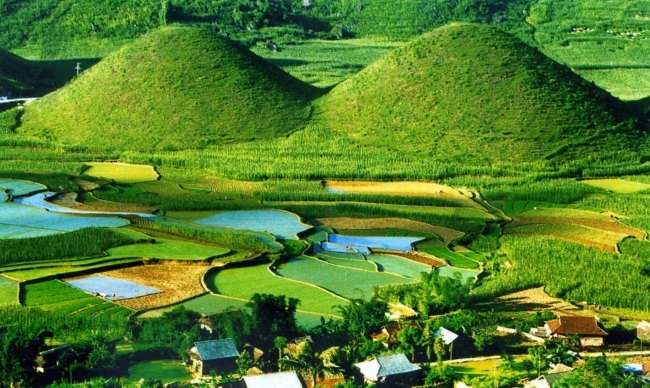 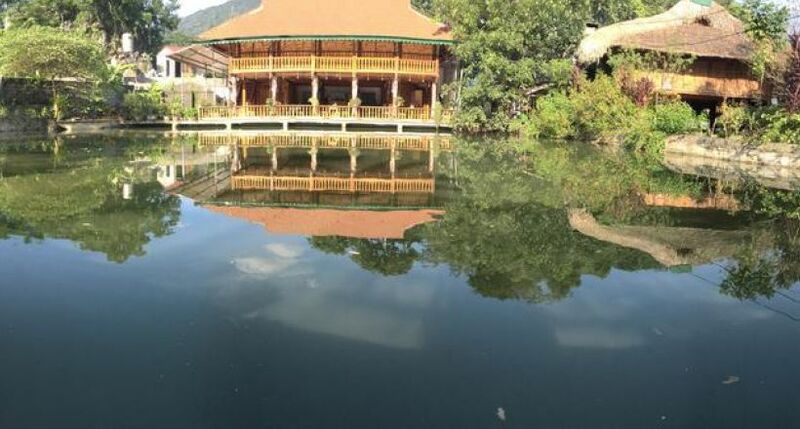 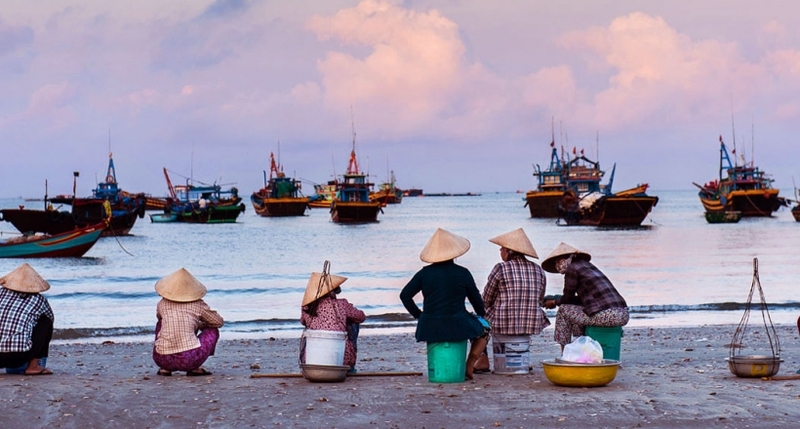 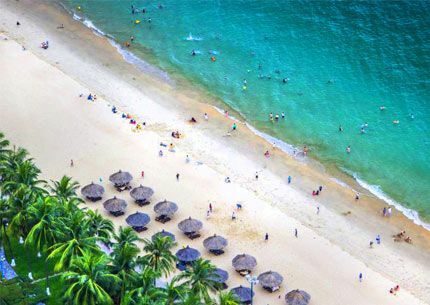 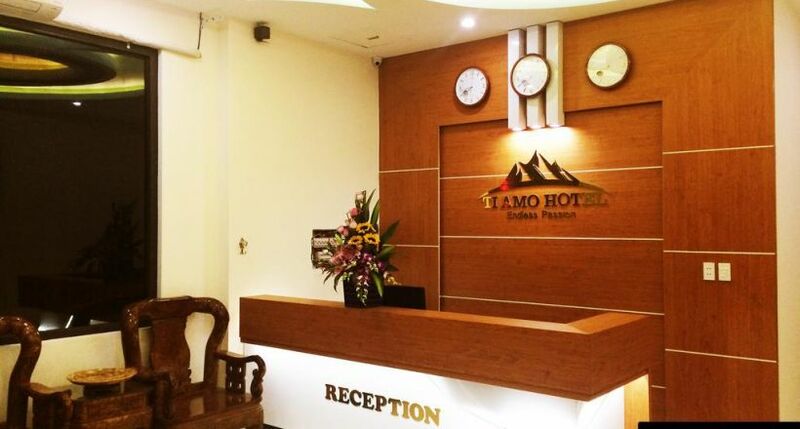 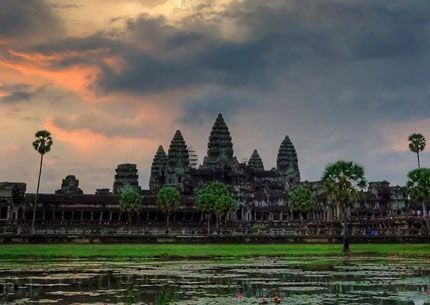 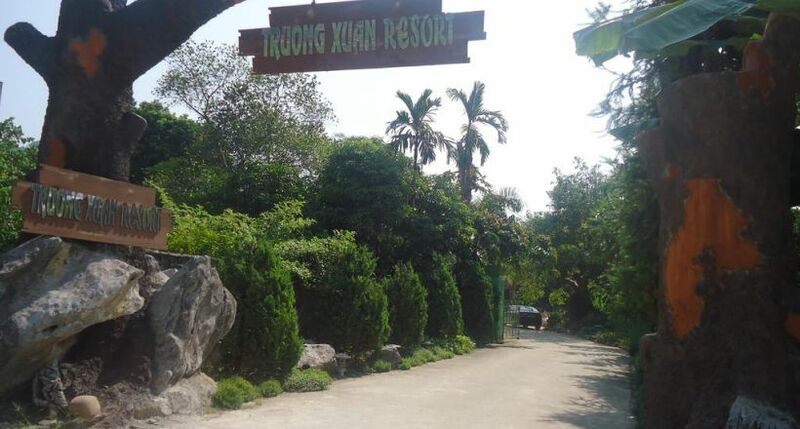 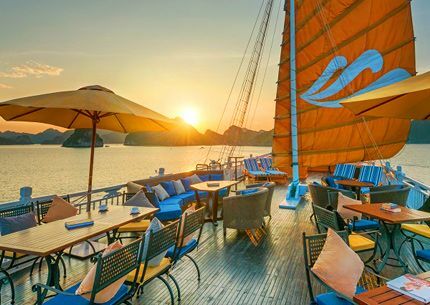 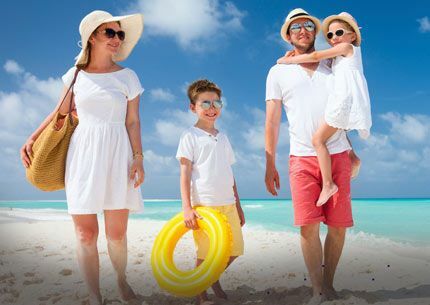 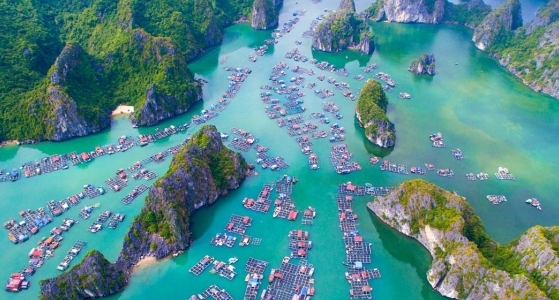 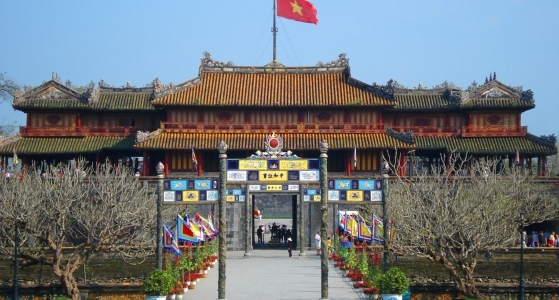 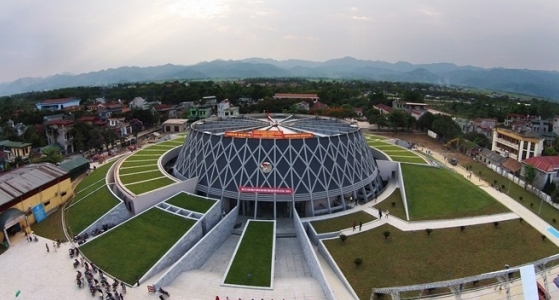 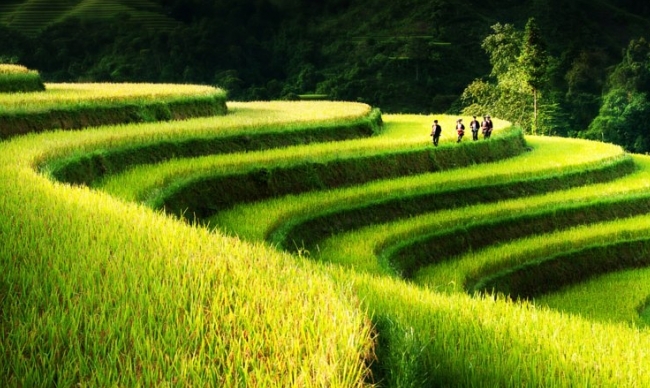 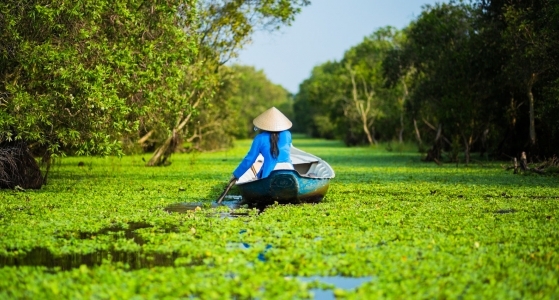 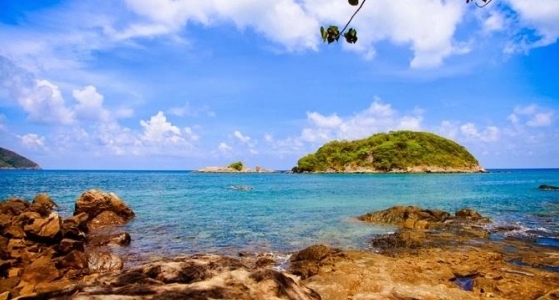 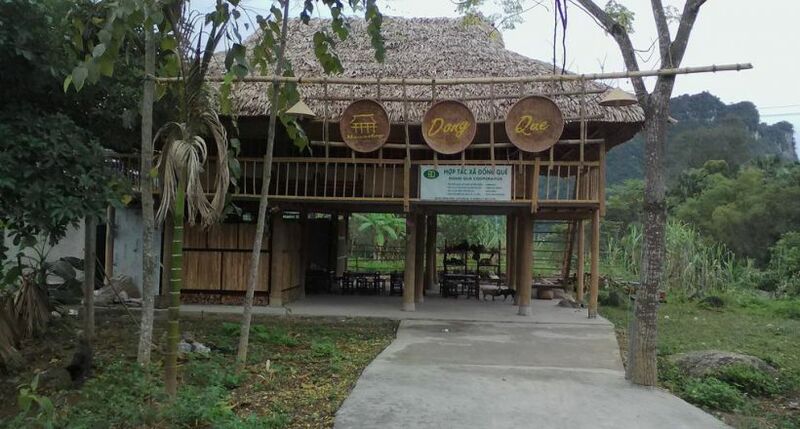 Attractions that you should not miss are Dong Van town, Hoang Su Phi rice terrace fields, Meo Vac mountain pass, Khau Vai love market, Mong King house, Ha Biang museum, and much more. 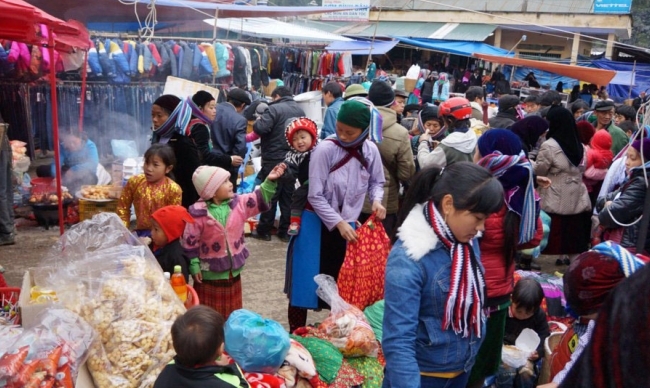 Embrace the uniqueness of Ha Giang's culinary with Meo chicken, five-colored glutinous rice, horse meat (thang co), pigs carried under one's arms (lon cap nach), and so on. 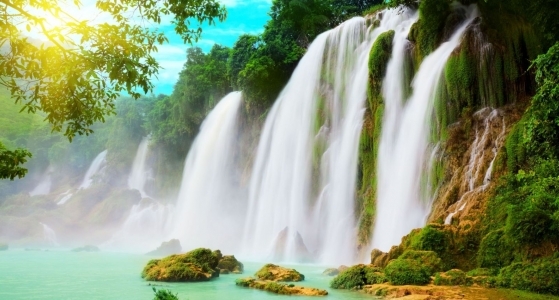 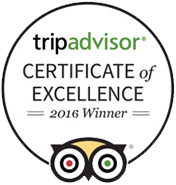 You will maintain the hope of visiting this wonderful region once more.